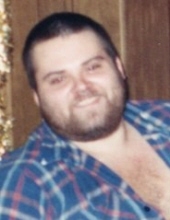 Timothy Dwayne Adkins age 50 of Pikeville, Kentucky passed away Monday, November 5, 2018 at the Pikeville Medical Center. He was a surface mines driller and a member of the Main Street Church of Christ. Timothy was born in Pikeville, Kentucky on June 6, 1968 the son of Loretta Murphy Adkins and the late Sid Adkins. Along with his mom Loretta Adkins, he is survived by two sisters, Linda Miller of Pikeville and Deborah (Gene) Slone of Betsy Layne. He is also survived by nieces, Sabrina (Josh) Hall, Heather Miller, Haley Miller, Alicia Slone and nephew, Austin Slone and great-nieces and great-nephews, Hannah Hall, Lyla Burgess, Katelyn Hall, Tyler Hall, Brennan Hall and Westyn Slone and a host of other Family and Friends. To send flowers or a remembrance gift to the family of Timothy Dwayne Adkins, please visit our Tribute Store. With Josh Allen and Keith Blackburn officiating. Serving as Pallbearers will be Austin Slone, Gene Slone, Josh Hall, Kyle Bevins, Curtis Norman, Scotty Hall, Jimmy Williamson Jr., Greg Charles, Kirby Vanover, Matthew Vanover and Ray Vanover. "Email Address" would like to share the life celebration of Timothy Dwayne Adkins. Click on the "link" to go to share a favorite memory or leave a condolence message for the family.